Everyone who keeps some wine on hand, whether it's just a few bottles or a full cellar, needs some way to stash those bottles. And I keep finding more interesting designs for meeting that need. There's a lot to like about the modular Nook wine racks, which are sold in kits of various sizes. 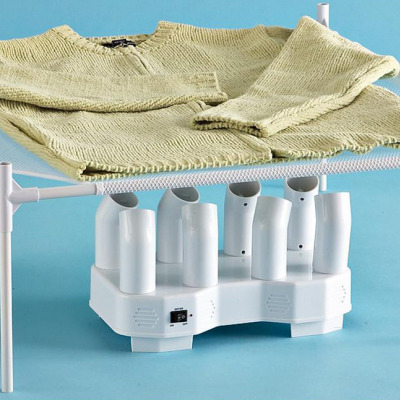 The racks are compact while still accommodating most bottle sizes—and they are very easy to assemble. I have no aptitude for such things, but I watched the how-to-assemble video and knew I could handle this one. There are only two components, and they fit together in an obvious way—the only tool I would need is a rubber mallet. Because the racks are modular, they can be installed in all sorts of places. Nook recommends that configurations over four feet tall (or any that are in reach of small children) be attached to the wall—they sell "saddles" for this. One restriction: The racks need to sit on a flat, hard surface, not carpeting or uneven floors. However, that's going to be true for most wine racks. 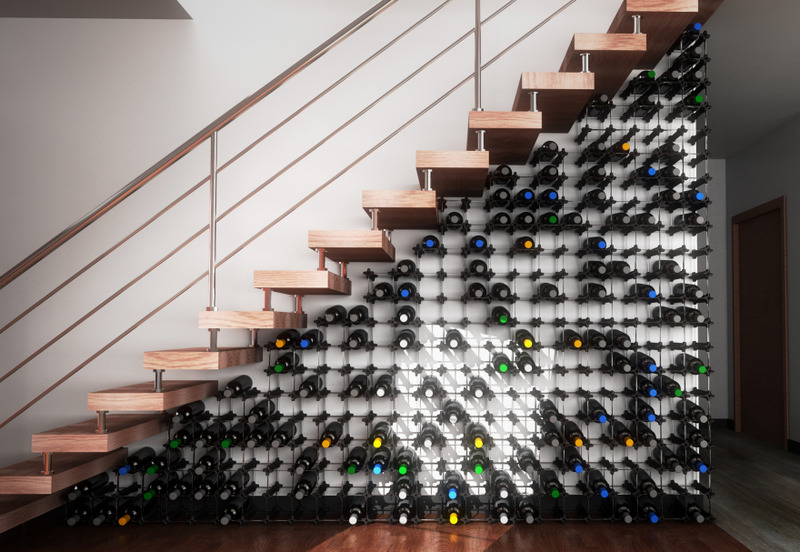 The Engage wine rack from Snapp Design is a modular rack that's even simpler to put together, as each of the individual pods has embedded magnets. 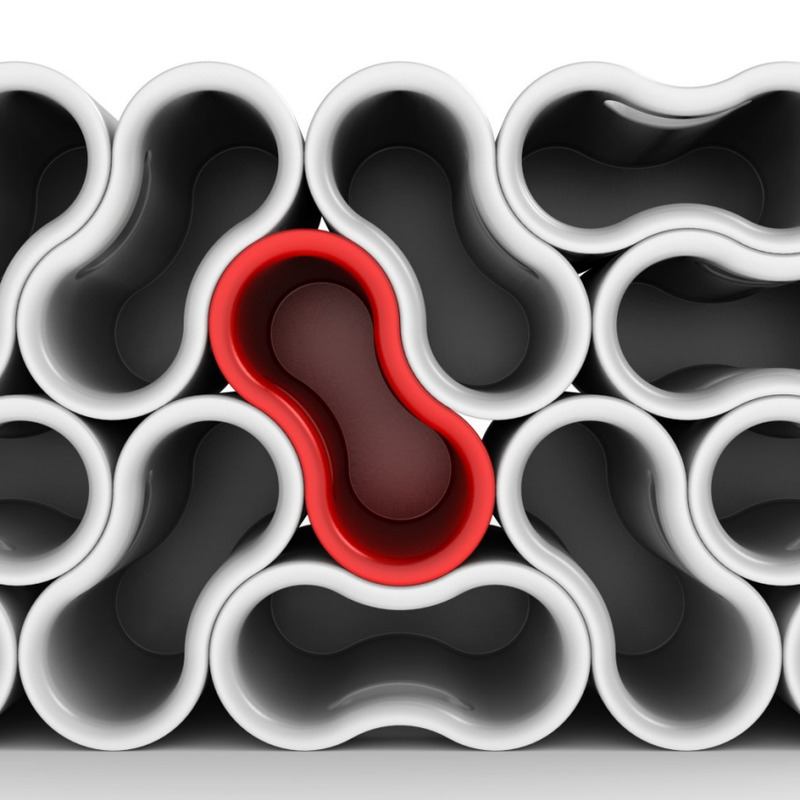 While components can be placed at 90-degree angles, it's usually going to be more practical to stack them all in the same direction. One concern: It doesn't look as though this rack will hold Champagne-size bottles. 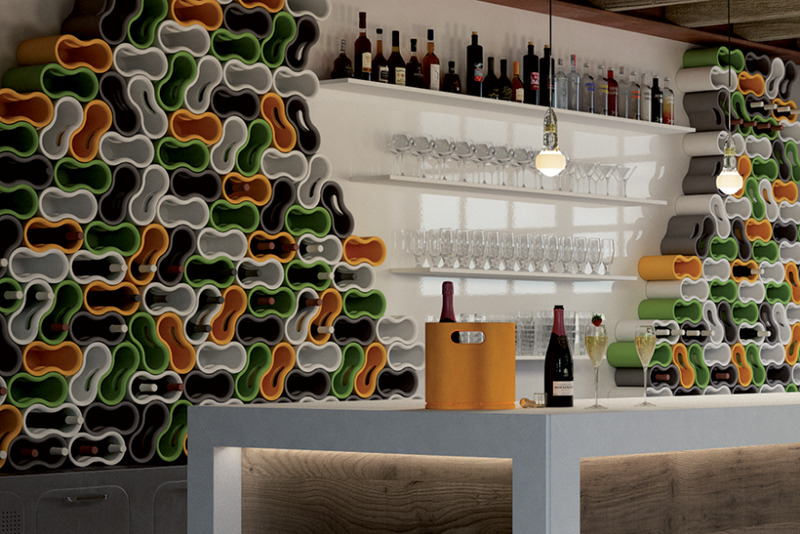 The Ameba bottle rack from 21st Livingart, designed by CrousCalogero, is yet another modular solution. It's made from rotational molding plastic. 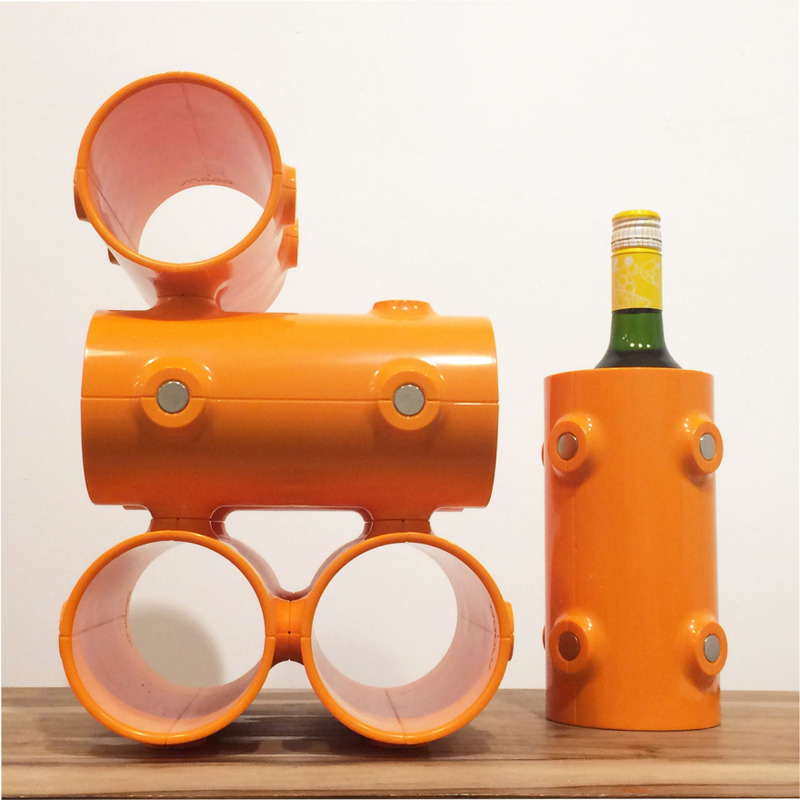 A single container holds two bottles, and with its integrated handle, it can serve as a carrier, too. It could also sit at the table with ice inside to keep some wine chilled. 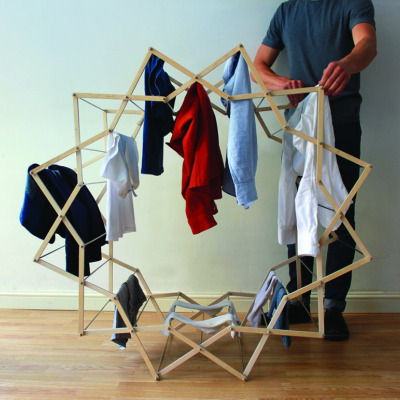 But the racks can also be combined to create quite extensive storage. 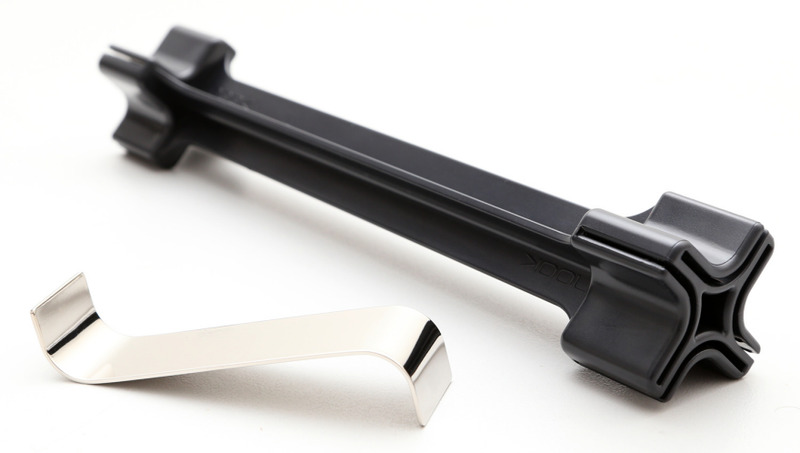 There's supposedly an optional bracket for use with multiple units, but I haven't seen any photos showing it. With no obvious way to attach it to the wall, a configuration like this would make me nervous in earthquake territory. 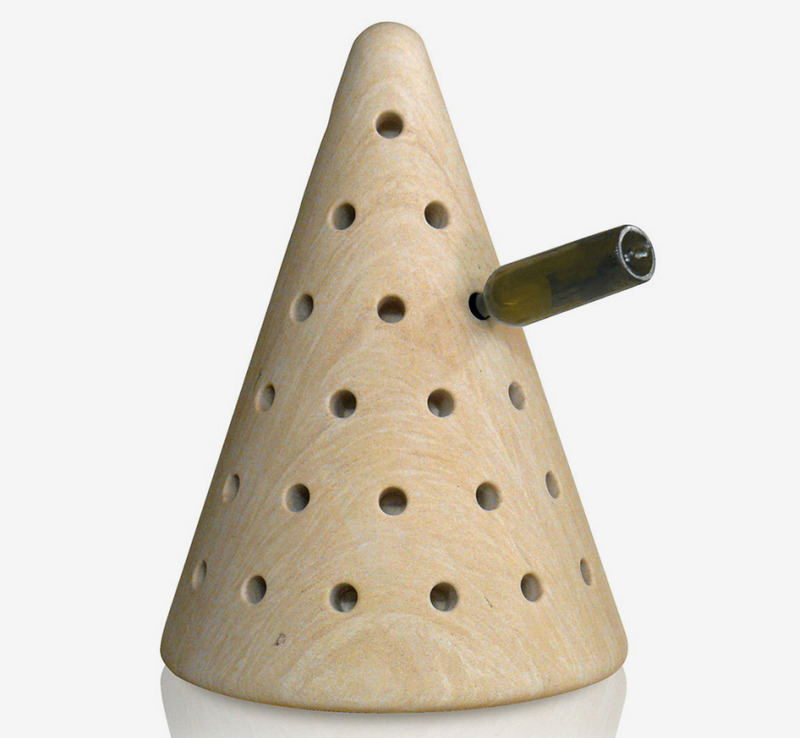 The Marcel wine storage cone from Sebastian Bergne was machined from a solid block of Portuguese limestone. A design like this would need to be made from a material heavy enough to prevent tipping problems if the bottles weren't well balanced, because end users won't always be that careful about bottle placement. 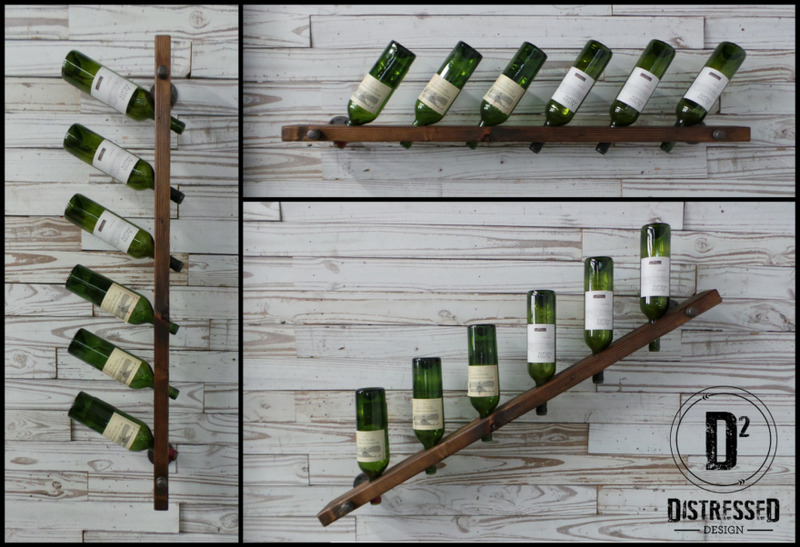 This wall-mounted wine rack from Distressed Design can be mounted horizontally, vertically or at an angle—a very helpful feature for end users who are likely to move or who simply like to redecorate. 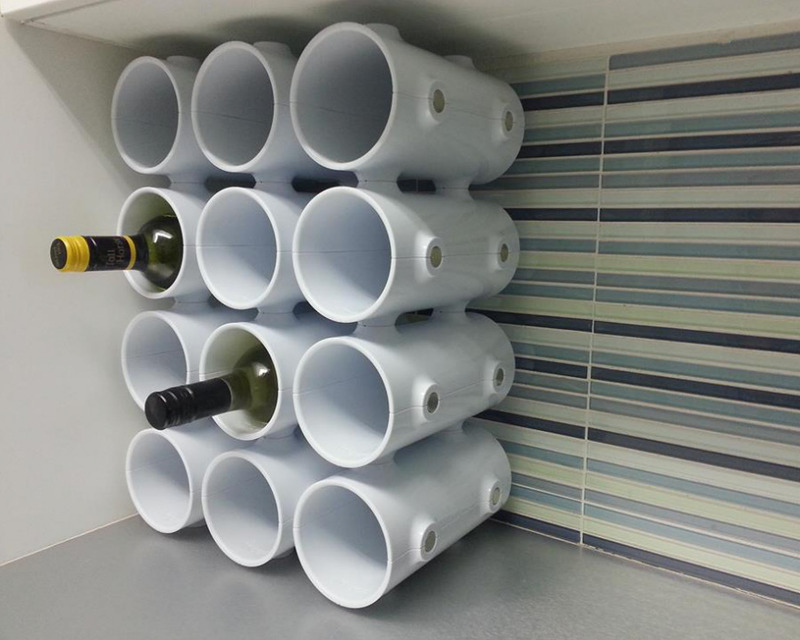 Many wall-mounted wine racks are intended to hold bottles horizontally, and the bottles seldom stay nice and flat. With this design, the bottles are never in a horizontal position, avoiding the possible frustration of having them out of alignment. 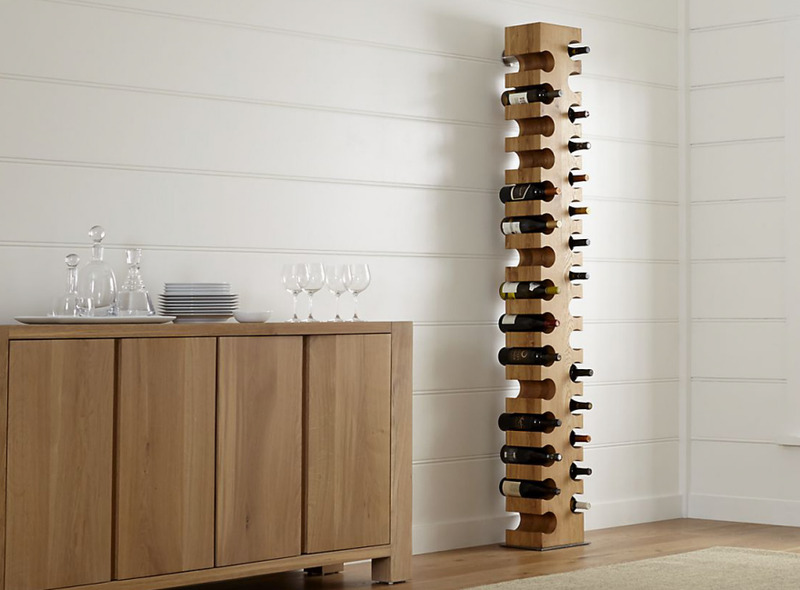 Crate and Barrel's Big Sur standing wine rack cradles 30 bottles. 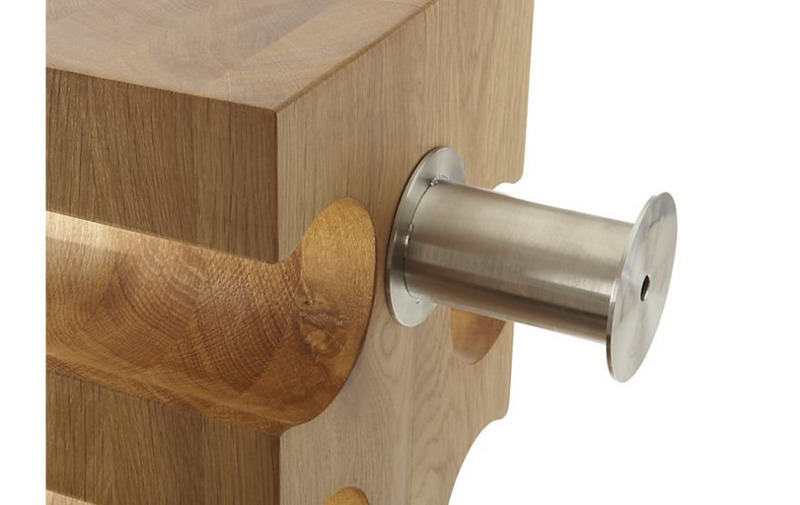 This piece will take less floor space than many other freestanding wine racks. However, since it's 81.5 inches tall, short people may find it a bit difficult to reach the top notches. It's made of solid wood and has a steel base, so it's not going to tip over easily, but there's an attachment plate provided, too. 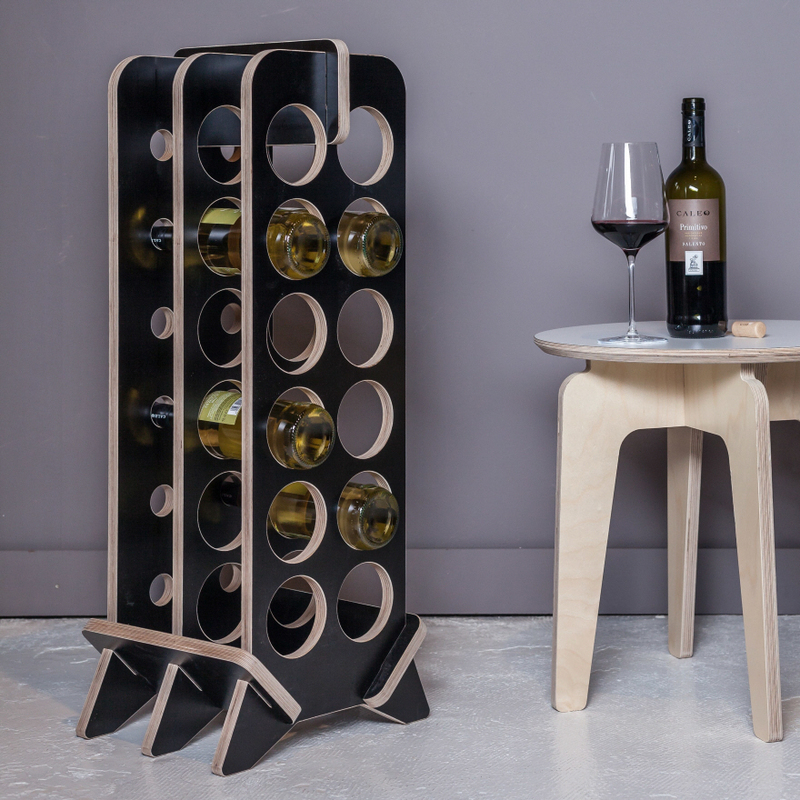 The Vino wine rack from Slide Art, made from plywood, comes in a flat pack and assembles easily with zero tools. 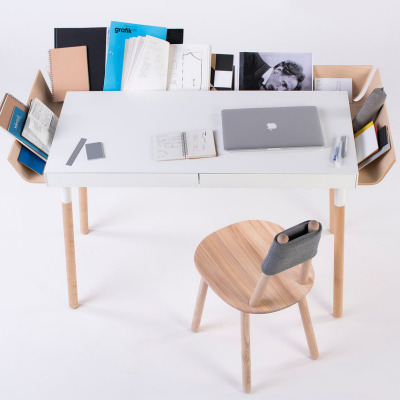 That's going to appeal to end users who move frequently and those of us who cringe at Ikea assembly instructions. There are 12-bottle and 20-bottle versions, and the rack looks as though it will accommodate many bottle sizes. 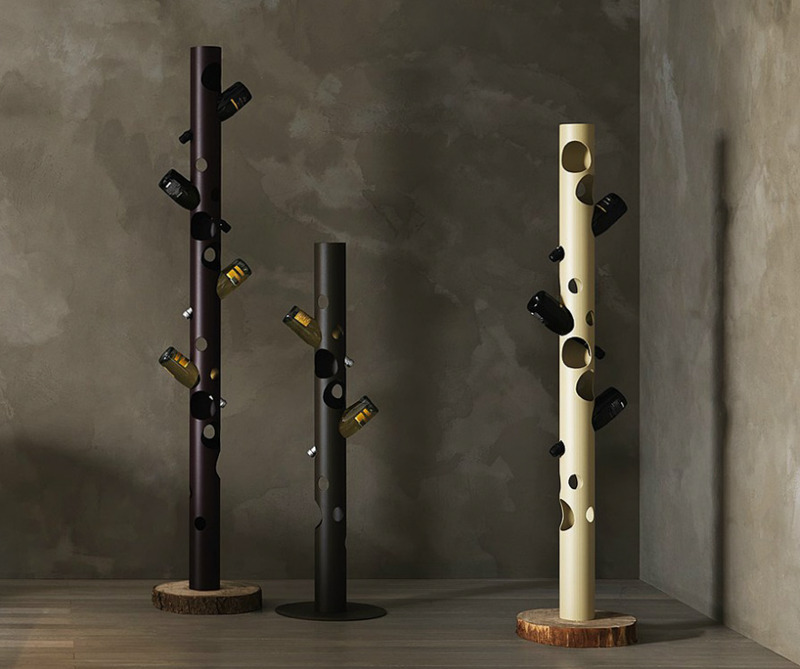 The Arbol bottle rack from Elite To Be is another freestanding design that requires minimal floor space. The base is either iron or wood. 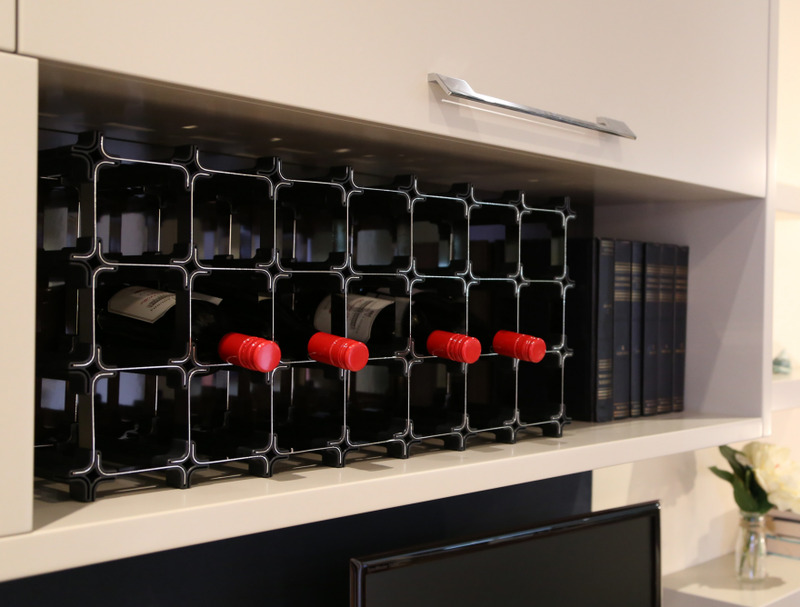 A couple considerations, which apply to the wall-mounted wall rack, too: Storing the wines at this angle means that any sediment will gravitate to the necks of the bottles, and any bottles that are no longer properly sealed might leak.